The Arlington Storm is announcing the start of the 2019 7/8YO Storm Travel Baseball program. Please keep an eye on this website and our Twitter @arlstorm for updates. Congratulations to the new Storm Baseball players! The tryout consisted of a variety of workout stations, including infield, outfield and hitting. The stations were run by past and current coaches in the Storm Baseball program. Current players in the Storm Baseball program also assisted in the tryouts. Pictured: 10YO Storm Black, 9YO Storm Black and 11YO Storm Red with their Columbus Day weekend tournament trophies. Columbus Day weekend was filled with success for Storm Baseball teams competing in multiple tournaments in different states. But, it was 10YO Storm Black and 9YO Storm Black who had championship wins right here in Arlington, Virginia. 11YO Storm Black, 10YO Storm Black, 10YO Storm Red, 9YO Storm Black and 9YO Storm Red all competed in The Sam Fox Fall Classic hosted by Arlington Travel Baseball at Barcroft Park. 10YO Storm Black was undefeated through pool play and entered bracket play the number 1 seed. They continued their winning streak in bracket play and won the championship game against the host Arlington Arsenal (ATB) 10U. The 9YO Storm Black faced the Aldie Senators — a team they had lost to in pool play — in the final game of the tournament. Storm Black's 9YO team won against the number 1 seed and took first place. The 11YO Storm Red earned second-place at the Fruitland (MD) Columbus Day Blowout tournament. The 12YO Storm Black competed in Ripken Baseball's Aberdeen (MD) Tournament. 8YO Storm Black competed in the Southeast Regional Tournament in Ocala, Florida. 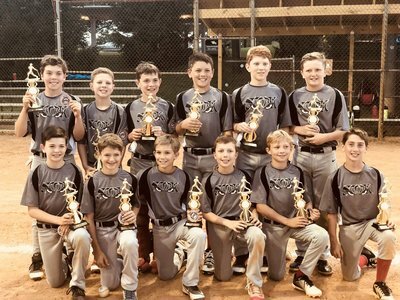 The team was undefeated throughout the 8YO Virginia State Tournament in Haymarket, VA.
​During the State Tournament championship game against the Fluvanna Fire, Storm had a 9-run lead in the fourth inning. Fluvanna fought back, but we held on and won 13-12. - Clive G led in hitting with four hits in four at bats. - Booker L had a homerun, scoring two runs, in the first inning. - Together, the team's bats were alive — the team had 21 hits. 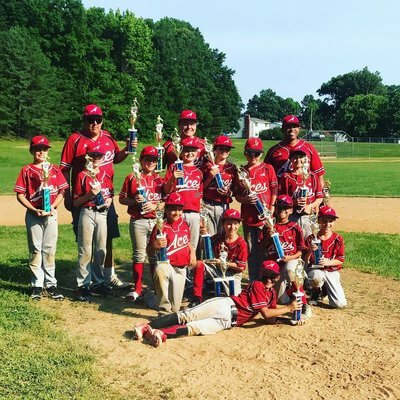 In the same week, four Storm Black teams took first-place in the Virginia District 7 tournaments, while the 11YO Storm Red were champions at the Father's Day Summer Classic in Essex, Maryland. The 11Y0, 10Y0, 9YO and 8YO Storm Black all advanced to compete in their age level State Tournaments. 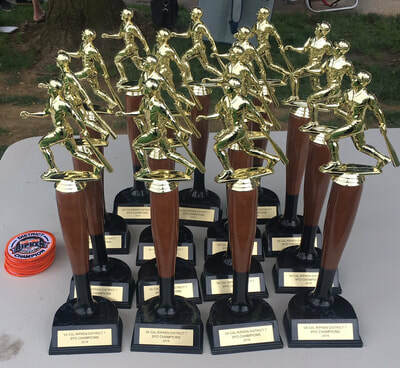 The 8, 9, 10 and 11-year-old Storm Black teams all won their brackets over the Memorial Day weekend at the Showdown In the Valley tournament in Winchester, VA. The clean sweep by the league was a first for the Storm Baseball travel program. It was also a first for the tournament — no program had won at all age levels in the past. 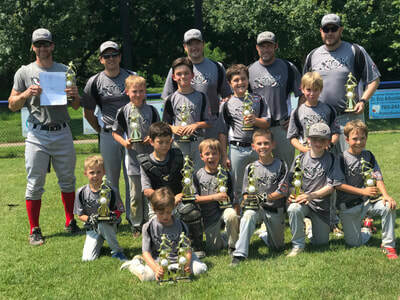 During the tournament, which Storm teams use as the unofficial start to the summer tournament season, the 8YO Storm Black defeated Winchester, 12-2, in the championship game. The 9YO Storm Black downed the Virginia Stars, 11-5, in its final. The 10YO Storm Black topped Winchester, 9-4, and the 11s Storm Black team beat the Lumberjacks, 1-0. 8YO Storm Black won all three of its games by more than 10 runs. Dominic T. belted a three-run homer. 9YO Storm Black outscored opponents 60-15 on 54 hits in five games, including RBIs and runs scored by all players. After dropping their first pool play game, the 10YO Storm Black buckled down, winning its next four games by a combined 24-7. The key game was an error-free 3-2 win against the same team that bested the Storm earlier. 11YO Storm Black returned for its third championship game in three years at Winchester. Defense made clutch plays in critical moments, including game-saving diving catches by center fielder Kieran S. in both the semifinal and championship games. Top hitters were Jamie C., Mason B., Will E., Jack R., and Nathan M., who went a collective 20 for 35 with 14 RBIs. The 12-under tournament was cancelled because of bad weather and poor field conditions. Want Real-Time Updates from Storm Baseball? Follow us on Twitter! Check us out on our Twitter page for up-to-date action on the ballfields. Every summer, Storm Baseball's 12YO program sends teams to compete at Cooperstown Dreams Park to do what we do best — PLAY BALL! This past year, the 2018 12YO teams — Storm East and Storm West — competed against 104 teams from all over the United States. Through six games of pool play and bracket tournament games, both teams represented Arlington and had a blast! They faced teams from Michigan, Wisconson and New York during the tournament. Arlington Storm East was coached by Harry Devens and Eric Leonard, while Arlington Storm West was led by coaches Gary Haney and Jim Greenwood. Storm Baseball's Class of 2017 also sent two Storm teams to Cooperstown. When the Storm Black faced competition at Cooperstown, they went an impressive 5-1 in pool play to finish 17th out of 104. Storm Black was also 1-1 versus the tournament's Sweet 16 teams. The Storm Red battled some adversity in pool play finishing 1-5, but lived up to their reputation of playing hard and challenging their opponents through the final out. Storm Black was led by Head Coach Chris Cardinale and Assistant Coach Roland McAndrews and the Storm Red by coaches Steve Wingate and Bill Gil.